This book is in the same vein as O’Connor’s If I Had a Raptor, only this time the dinosaur takes after a dog instead of a cat. 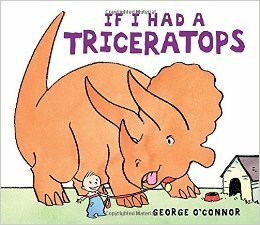 While I have shared If I Had a Raptor in storytime before, I personally believe that If I Had a Triceratops would be more easily understandable to a preschool crowd. The illustrations, for example, are a bit more humorous for a younger crowd and feature the large triceratops in the dog house (only his nose fits), hiding under the bed (the bed rests precariously on top of him), and sniffing another dinosaur’s — erm — posterior. Overall, this would be a great addition to storytime, and I honestly can’t wait to read it in front of a group! Lions can jump. Monkeys can jump. Even giraffes can jump. But elephants can’t. 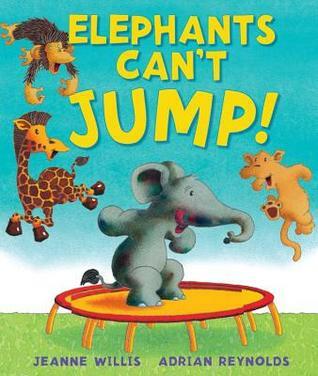 A little elephant is determined to learn how to jump, and he tries everything to no avail. Just as he’s about to give up, he learns that there is something that he can do. While the illustrations are adorable enough for a young crowd, I actually think that this one will work best with the 4 to 5 year old crowd. The story runs a tad on the long side, and I’m fairly certain that most younger readers (or even older readers who are a bit wiggly) will lose interest. 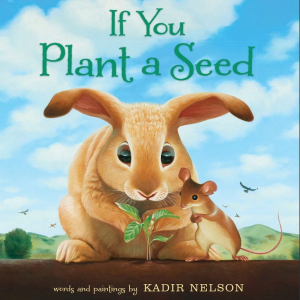 The illustrations steal the show in this picture book about a rabbit and mouse who plant a tomato seed, carrot seed, and cabbage seed. When some hungry birds want to eat the vegetables, rabbit and mouse react not so pleasantly. In the end, all the animals learn that it is better to share than to be selfish. 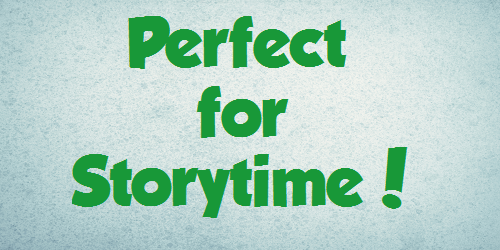 I already shared this one with a storytime group, and it worked so, so well! I think the parents in particular appreciated the moral of the story, and everyone loved the pictures! I’m sure this book will be getting some definite Caldecott buzz!